Celebrity Big Brother contestant Kirstie Alley will claim on Thursday’s episode of the reality show she nearly had an affair with two of her former co-stars – Patrick Swayze and John Travolta. The actress will say that she “would have loved to have had an affair” with the late Dirty Dancing star, who she appeared alongside in 1980s TV miniseries North And South. She will also tell her fellow housemates that she nearly eloped with Travolta – who she claims to still love. Alley and Travolta starred in romantic comedy Look Who’s Talking and its two sequels. The Cheers actress will say that, had she not been married, she would have pursued a romance with both men. Alley will say: “I would have loved to have had an affair with Patrick Swayze, but we were both married. “I kissed him and I wished I could have had an affair but I’m a strong believer in fidelity. “When you get on the road and you’re doing a movie it’s very easy to fall in love with your leading man. “I almost ran off and married John [Travolta]. If I hadn’t have been married I would have gone and married him. 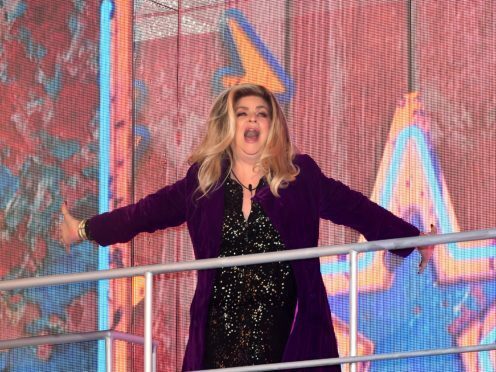 Celebrity Big Brother continues on Channel 5 at 9pm tonight.